Aeroflex Ltd., a wholly owned subsidiary of Aeroflex Holding Corp., announced that the 7100 Digital Radio Test Set provides LTE-A carrier aggregation testing at full Cat 6 data rates of 300 Mbps downlink and 50 Mbps uplink simultaneously for LTE-A in FDD mode, and now also supports carrier aggregation in TDD mode. Aeroflex Ltd., a wholly owned subsidiary of Aeroflex Holding Corp., has launched an extended version of its TM500 industry-standard base station tester capable of emulating several thousand LTE user equipments (UE), fading channel models, and LTE-A carrier aggregation functionality in a one-box benchtop unit. The TM500 Test Mobile delivers more leading edge LTE-A development capability with a higher UE density than any other solution on the market. Aeroflex announced that its TM500 Test Mobile has added support for the 3GPP WCDMA Release 10 standard, the latest evolution of the HSPA+ standards, which adds support for MC-HSDPA (Multi Carrier High-Speed Download Packet Access). 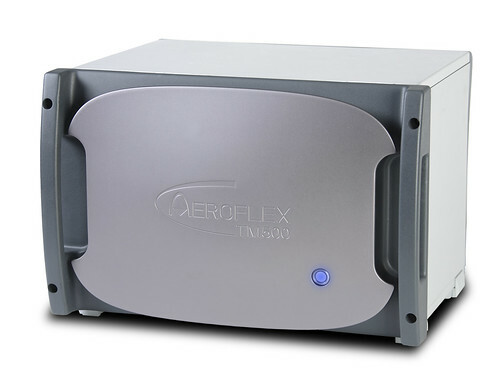 Aeroflex Inc. announced the addition of enhanced VSWR (return loss) and distance to fault to the tracking generator functionality of the Aeroflex 3550 Digital Radio Test System. By utilizing the sweep of the tracking generator, the 3550 can measure and display the VSWR of an antenna or find the location of one or more faults in a cable. 4G chipmaker Sequans Communications, in collaboration with Aeroflex Inc., will conduct a live LTE throughput demonstration at International CTIA Wireless at Sequans' booth, number 3110, May 8-10, at the Ernest N. Morial Convention Center in New Orleans. Aeroflex Inc. announced automated test and alignment capabilities for MOTOTRBO portable radios on the Aeroflex 3920 Digital Radio Test Set.